The University of Oslo, until 1939 named the Royal Frederick University, is the oldest university in Norway. It is located in the Norwegian capital of Oslo. Until January 1, 2016 it was the largest Norwegian institution of higher education in terms of size, now surpassed only by the Norwegian University of Science and Technology. The University of Oslo has approximately 27,700 students and employs around 6,000 people. It was founded in 1811 and was modeled after the University of Copenhagen and the recently established University of Berlin. The University of Oslo is the best university in the country, also having to be globally ranked 135th on the QS World University Rankings 2019 and 121st worldwide by the Times Higher Education. The University of Oslo does not administer any sources of student funding and cannot assist students financially. Students can turn for advice in academic, financial, or personal matters to a team of professional counselors in the SiO. SiO works to enhance the overall educational experience by providing a wide range of affordable services. Go to SiO to for further details. For PhD programs, the most common type of funding is employment as a doctorala research fellow. A doctoral research fellowship includes temporary employment at one of the units at the University of Oslo. Doctoral research fellowships are normally granted for three years without compulsory work or four years with compulsory work (usually teaching). For more information, visit Before Applying. Learn more about the University of Oslo at www.uio.no. The University of Bergen is a public university located in Bergen, Norway. Today, it serves approximately 17,000 students, and is one of 8 universities in Norway. The University was founded in 1946 and has 7 faculties, the newest being The Faculty of Fine Art, Music and Design which was established in 2017. The University of Bergen Library and the University Museum of Bergen have a faculty-like status. The University of Bergen is considered as one of the best universities in the country. 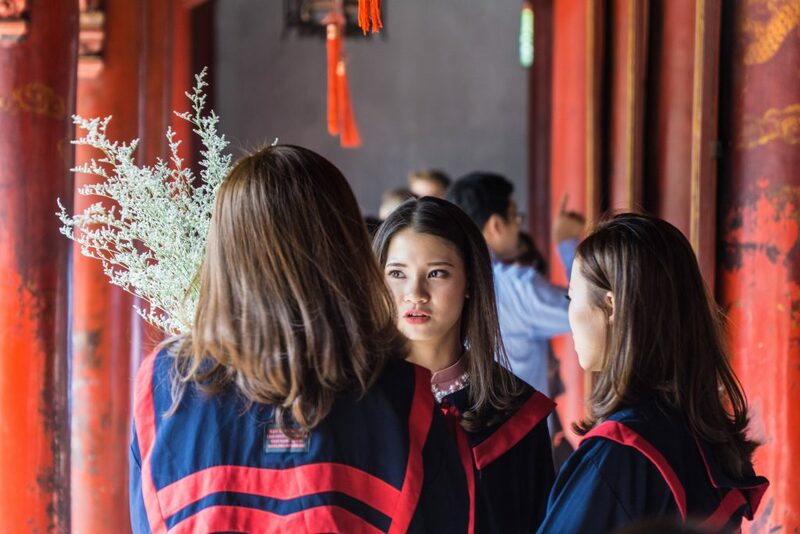 As of 2019, it is ranked 171st worldwide on the QS World University Rankings and 197th on the Times Higher Education World University Rankings. Frøken Lina Abjørnsens Stipendiefond: funding is granted to particularly talented students at the Faculty of Mathematics and Natural Sciences. Priority will be given to students of Marine Sciences. Skipreder Jacob R. Olsen og hustru Johanne Georgine Olsen legat: funding is granted to students at the University of Bergen. Meltzer Project Grant – The Meltzer Research Fund: intended to promote the academic activities of the University of Bergen and to support especially gifted students at the University. For more information, visit Student Bequests and Grants at www.uib.no. The Norwegian University of Science and Technology (NTNU) is a public research university with campuses in the cities of Trondhelm, Gjevik, and Ålesund in Norway. It has become the largest university in the country, following the university merger in 2016. NTNU has the main national responsibility for education and research in engineering and technology, originated from Norwegian Institute of Technology. In addition to engineering and natural sciences, NTNU offers higher education in other academic disciplines ranging from social sciences, the arts, medical and life sciences, teacher education, architecture and fine art. Anglo-Norse Society: ₤2,500 is awarded each year to the best qualified British citizen receiving admission to a master’s degree at NTNU. Students do not need to apply. EU loans: some EU countries offer its citizens favorable loans to help them finance a master degree in an Erasmus+ Program country. For more information, visit Financing at www.ntnu.edu. The University of Tromsø – The Arctic University of Norway is the world’s northernmost university. Located in the city of Tromsø, Norway, it was established in 1968, and opened in 1972. It is one of 8 universities in the country. The University of Tromsø is the largest research and educational institution in northern Norway. The University’s location makes it a natural venue for the development of studies of the region’s natural environment, culture, and society. The University of Tromsø is ranked amongst the top 400 universities worldwide, both on the 2019 QS and the Times Higher Education (THE) World University Rankings. These grants or scholarships are usually awarded automatically to students admitted to the exchange program through their home institution. For more information, select “Scholarships” on the Useful Links section on the International Admissions webpage, at https://en.uit.no. The Norwegian University of Life Sciences (NMBU) is a public university located in Ås, Norway. Established in 1859 as the Norwegian Agricultural Postgraduate College, it became a university-level university college in 1897 and received university status in 2005. Prior to 2005, it was known as the Norwegian College of Agriculture. Only a few years later, in 2014 the University merged with the Norwegian School of Veterinary Science (NVH) in Oslo, and is today known as the Norwegian University of Life Sciences. Having a history since 1859, it is the second oldest institution of higher education in Norway, after the University of Oslo. It is also the only educational institution in the country to provide veterinary education. NMBU does not offer scholarships for bachelor or master students. As for PhD programs, students may apply for a position as a research fellow (within a relevant discipline / field) to secure and document full funding for the entire period of admission. Go to Incoming Exchange Students for further details on student exchanges. Learn more about NMBU at www.nmbu.no. I am Melese from Ethiopia. I am interested to study in Nerway. I have graduated from DebreTabor University with Bachlor of degree in Nursing. I want to study my master degree in Norway with full hope and interest. I do hereby request from the government of Norway to help me out the admission of master in public Administration. Sir can i apply to narwy university for MS .
My name is Abdi Alemayehu Assefa.l am from Ethiopia.l have Bsc degree in natural resource management and public health.I want to have scholarship in Norway please help me. My names Ali Nour from somalia I am requesting University Of Oslo so that please help me and facillitate me how to join oslo university also i need master degree in puplic health. My name is Endalew Dereje from Ethiopia I am requesting university of Oslo Norway so that help me and facilitie me how to join Oslo university. I need Doctoral in development and public policy,because of I have Masters degree in development. and public policy management. I am an applicant who likes to Study in your University for the program I qualify. I am graduated from Nekemte poly Technique college Intermediate electronics & communication multimedia equipment service Level III January 2014 & Ambo poly Technique College Electrical/Electronic equipment servicing Management level IV September 2015. Currently I am working in the Gin chi TVET College Electronics on the position Trainer from October 2014- today. Besides, I am highly motivated, duty minded, persuasive and polite person. Having this in your mind I would like you to consider my application for learning in line with my profession. Hence, I request you that your organization considers my application; I am ready to appear for an study or learning without any hesitation. Enclosed, please find my CV and copies of relevant documents. Thank you in advance for your kind with regards. Iam mohtas anuwar mudir, a refuge in Ethiopia since 2011 . Graduated in one of Ethiopian university with B.SC in RURAL DEVELOPMENT and AGRICULTURAL EXTENSION with first class honour and would be prospect and grateful if joined Oslo university. My name is Rahul Sharma. I am interested for this matter. I read in class 15 department of management. Dear sir, my name is muhammed zubair. i live now bangladesh camp.i am a hopeless and futureless rohingya student.i passed my matriculated exam with two distinction 2016 in myanmar.i cannot recieve higher education in our country myanmar, simply because being a rohingya muslim.Because those who are buddhists passed with me with the same year can join.the university easily even thought their marks are so low. it is really dissappointing.Unfortunately, i lost father, mother, four brother and one younger sister during this crisis 25th august crisis.Here now i am alone here and i come here in camp after travelling with my aunt, those husband are corved by neck by brutal terrorist government army.Here now i am a hopeless and futureless rohingya student.So, i humbly request you to give me an opportunity to study here in bangladesh or in abroad because i do not want ruin to give up my life this way.Thanks for your time and consideration if you need to contact with me at any question feel free to contact at( 008801871155962 and an email:[email protected]).i.am available to speak with you at any time.i am so excited to hear from hear from you.i wish you a healthy life sincerely, muhammed zubair. Dear Sir , My name is melaku abebe from Africa ,Ethiopia .I have BSC Degree in Mechanical engineering and now i need to study masters degree in any universty of Norway in any related fields. Sir Please help me to join your university. I need DBA opportunity from your University. please help me how to apply. I’m Mubarak Rabiu from Nigeria, i grateful to u for all your help. me to join your university. Dear sir,madam, My name is muhmmmed zubair.i live now bangladesh camp.i am a hopeless and futureless rohingya student.i passed my matriculated exam with two distinction 2016 in myanmar. I cannot recieve higher education in our country myanmar, simply because being a rohingya muslim.Because those who are buddhists passed with me with the same year can join the university easilly even thought their marks are so low.It is really dissappointing. Unfortunately i lost father, mother, four brother and one youner sister during this crisis 25th august crisis.Here now i am alone here and i come here in camp after travelling 16 months ago with my aunt.Those husband are corved by neck by brutal terrorist government army. Here now i am a hopeless and futureless.So, i humbly request you to give me an opportunity to study here in bangladesh or in abroad because i don’t want to ruin and to give up my life this way.Thanks for your time and consideration if you need to contact with me at any question ffeel free to contact at ( 008801871155962 and an [email protected]) i am available to speak with you at any time.I am so excited to hear from you. I wish you a healthy life sincerely, muhammed zubair. I am interested if I learn my Msc in your country. I want to get a free scholarship.So hope the university will give a scholarship. Dear Sir my name is Abshir Mustafe Ali. I am from Ethiopia. I need to be capitalized this opportunity. I have a Degree in Public Administration. So I would like to study. I am Ayele from ethiopia I want to participate the free scholarship in Oslo university so I hope to accept me! Hello . My name js Farid Ahmad I am from Afghanistan I want studay in oslo if you want any student I am from last year of English department and I want to studay mor and mor. My name is manar, i graduated as acivil engineer,i have an experience of 2years, i hope i have a chance of getting the scholarship.